The Verwood Rotary Club's Rustic Fayre is the town's favourite day out. 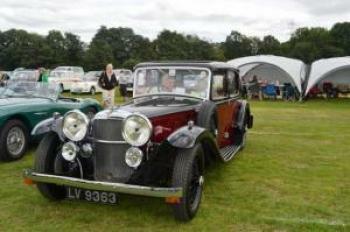 Always held on the August Bank Holiday at Potterne Park, Verwood, the event has over the years raised well in excess of £100,000 - predominantly for the local community, but also some for Rotary charities. One of the major attractions of the "Rustic" each year is the huge Classic Vehicle Display. Over 250 Cars, Motorcycles, Military and Commercial Vehicles make a fascinating show of the way our roads were 30 years ago. 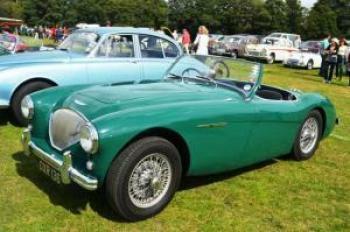 The vehicle display is organised by the Three Counties Vintage & Classic Car Club, vehicles to be displayed must be at least 35 years old and entries are strictly by invitation only. All vehicles must be in place by 11.30am and are expected to stay until at least 4.30pm, HEALTH AND SAFETY REQUIREMENTS ARE SUCH THAT NO VEHICLE MOVEMENT WILL BE PERMITTED UNTIL 4.30pm - If exhibitors are not prepared to abide by the Rotary Club's Terms and Conditions please do not apply to attend.